Johnson & Johnson’s talcum powder has been used in U.S. homes since 1893. Primarily made up of magnesium, silicon, oxygen—and (in its natural state) asbestos, which is a known carcinogen—the mineral talc is commonly used to reduce unwanted moisture and friction that can cause rashes. However, recent lawsuits filed against Johnson & Johnson alleged that the company’s brand of talcum powder causes cancer, and some plaintiffs have received favorable decisions. During the trials, plaintiffs were able to use internal documents to show that Johnson & Johnson knew the talcum powder increased the risk of ovarian cancer in women who used the product. Although the company had a duty to warn users, it did not. In 2013, Dianne Berg was the first to allege that even the asbestos-free type of talcum powder causes ovarian cancer, and a jury found in her favor. In February 2016, a jury found in favor of the family of Jacqueline Fox, who unfortunately succumbed to cancer in October 2015. The family was awarded a total of $72 million in damages, and this lawsuit set a precedent for other wrongful death lawsuits. In May 2016, a jury awarded Gloria Ristesund $55 million after she was diagnosed with ovarian cancer linked to talcum powder usage. In October 2016, Deborah Giannecchini received a favorable decision and over $70 million to compensate for her ovarian cancer. 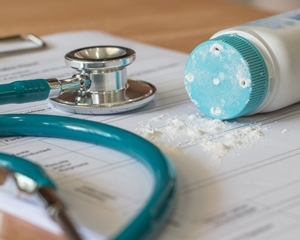 If you believe you may have been injured by talcum powder or another defective product, it’s essential that you find competent and trustworthy legal representation. The team at the Holton Law Firm wants to hear your story, review the details of your case, and help you understand how to proceed. To get started, contact us by starting a live online chat on our website. Where can I find a list of recalled products?